Comments Classic Mars Talisman. 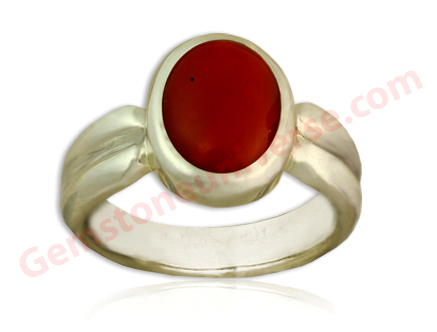 Deep Mediterranean Ox Blood Red coral from the Japan Sea set in an understated and muted Silver ring. 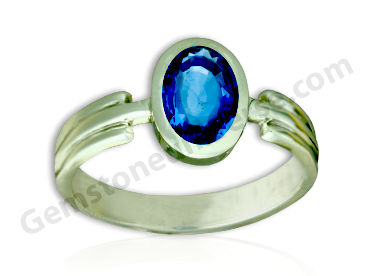 The contrast is the feature of this ring. Muted Silver gives platinum like finish. Organic Certification and the origin mention add value. Red Coral is the Gemstone of Mars and besides its extensive use in Jyotisha finds much value in Ayurveda, where it is used in several Ayurvedic medicines. Praval/Prawal ( Another name for the Red Coral) Pishti a paste made from Red Coral is used for many herbal rejuvenative medicines. It is good for the intestine and the kidneys. 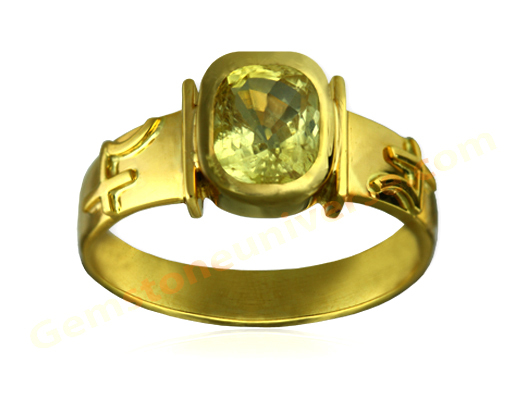 Comments Harmonious and Saatvik Mercury Energies with this un enhanced Brazilian Emerald the gemstone of Buddha. 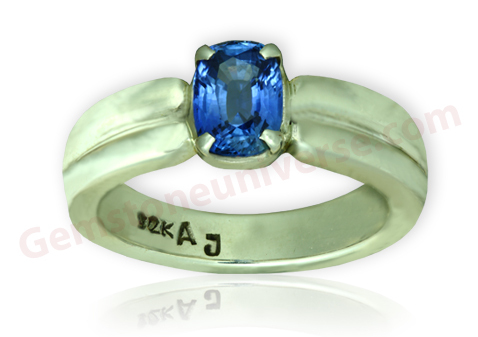 Super value for Money for an Emerald that is 90% clean. 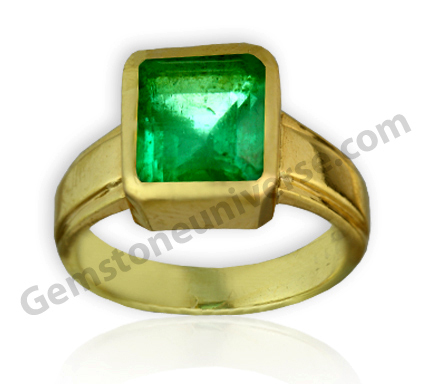 The entire lot of Brazilian Emeralds had great color and around 90% clarity. This 2 Dimensional picture does not do any justice to this Saatvik Mercury Ring. 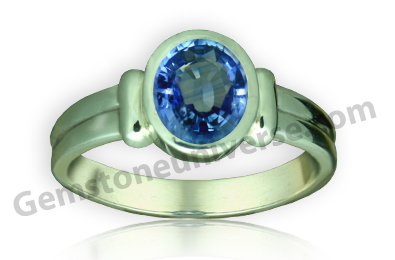 Comments Ravishing and exquisite Kashmir colored Blue Sapphire. Eye clean, proportioned into an Oval. 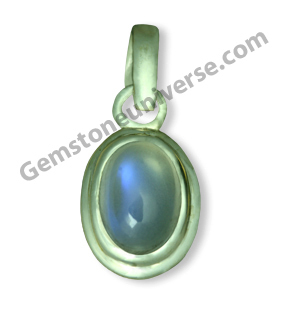 Brilliant Blue Hue radiating Sattvik Shani energies this is a perfect example of how a Jyotish Gem should be. Free of any flaws with the most sought after color and free of treatment. Powerful Neelam that will deliver solid results. 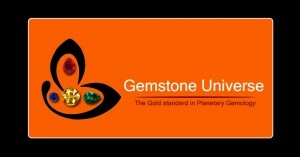 Our first Gemstone to be featured for the year 2011. Wish all our patrons a great New Year. May you have an outstanding 2011. Table of Organic Red Coral and Natural Pearl Gemstone Facts! Comments This is one gorgeous and glamorous beauty with a super shiny surface and totally blemish free! This superb Japanese Organic Red Coral is the epitome of the Mars attributes of Youth, Power, speed and Vitality! 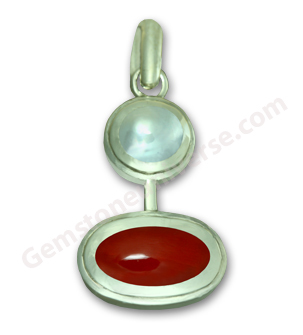 With its Mediterranean Ox blood colour, and set together with the Natural Pearl its making a powerful Jyotish talisman! This adorable beauty has such an outstanding translucence! Non-nucleated and fully natural Pearl from the Australian sea! Get a glimpse of the Moon itself in this translucent beauty! Super fine lunar energies! Pure white and purely Sattvik! 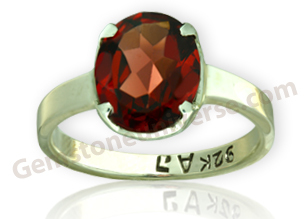 Set together with the Red Coral and making a powerful Jyotish talisman! Comments Robust, powerful and potent Sun energies in this flawless Mozambique Garnet. This gem is natural and unenhanced and is of a Superior Jyotish Quality! 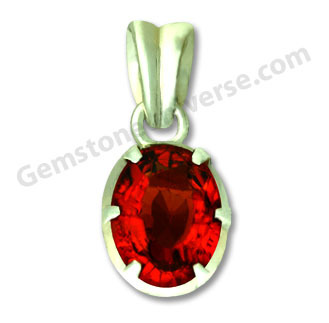 Red garnet is known as the gem that illuminated Noah’s Ark, and is used as a substitute gemstone in lieu of a natural unenhanced Jyotish Quality ruby – the gem of Sun!